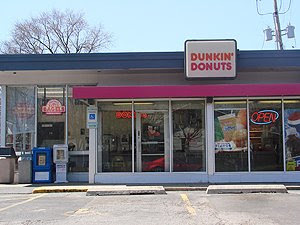 Last week a twenty-ffive year old man decided to rrob the Dunkin Donuts franchise in Lombard, IL. He wore a black ski mmask and brandished a knife. Unfortunately, he should have written a nnote. It sseems that the would-be thief used to work at that particular Dunkin Donuts. He also has an unfortunate stuttering problem that was rrecognized immediately by one of his former cco-workers. The cco-worker called the police, who immediately arrested Fredrick Brantley. When they arrested him, he had a Dunkin Donuts bag with $300 in it and a knife. Brantly has been ccharged with armed robbery. The stutter may be helped by a speech therapist. The idiocy is untreatable.